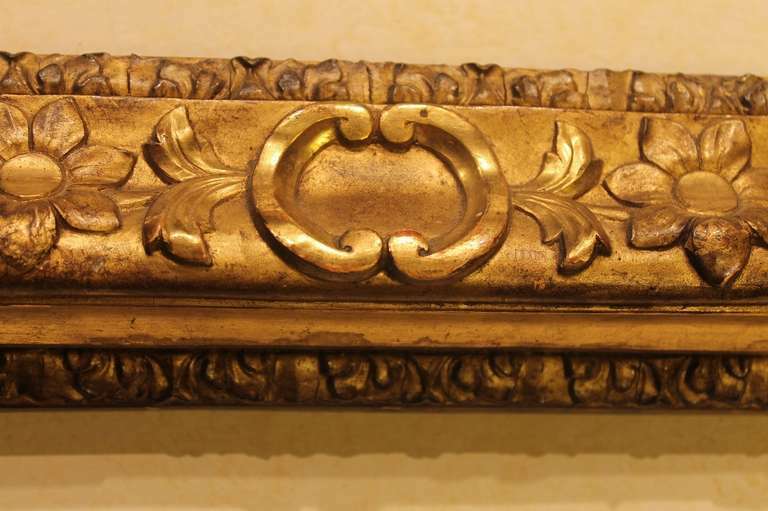 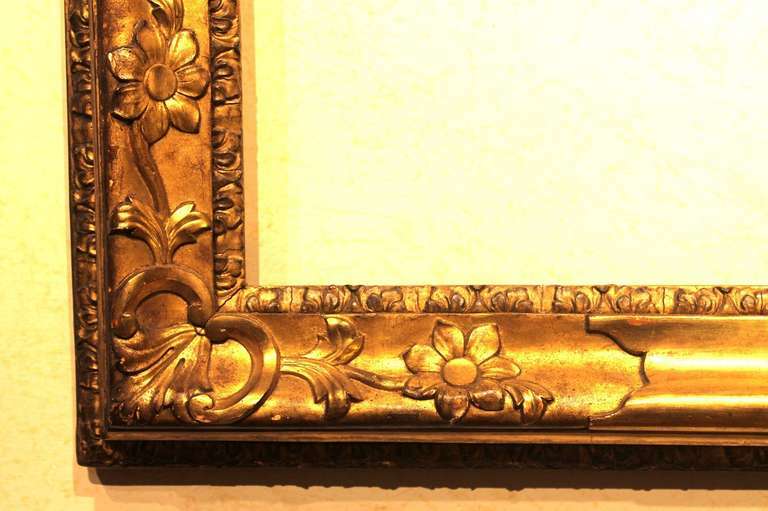 This beautiful 18th Century Venetian giltwood frame is richly inlaid and hand carved with scrolls and floral and foliate patterns. 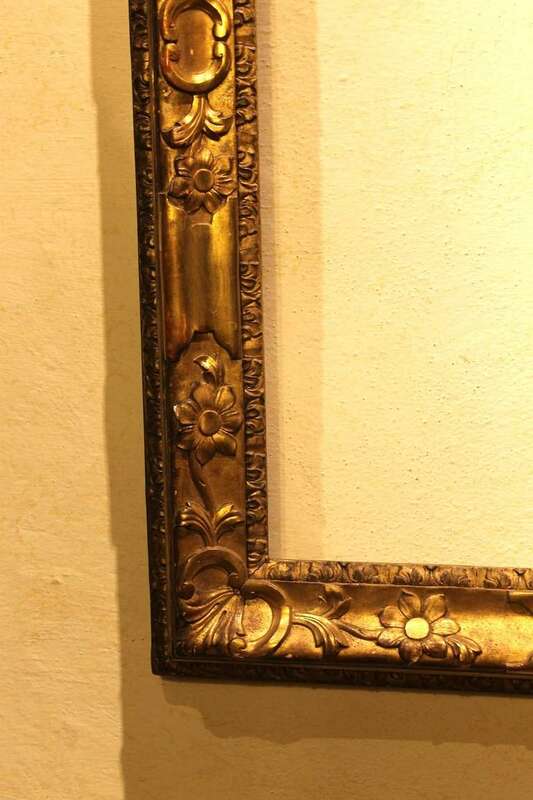 The gilding is made of gold leaves and it has its beautiful original patina and a rich shiny color. 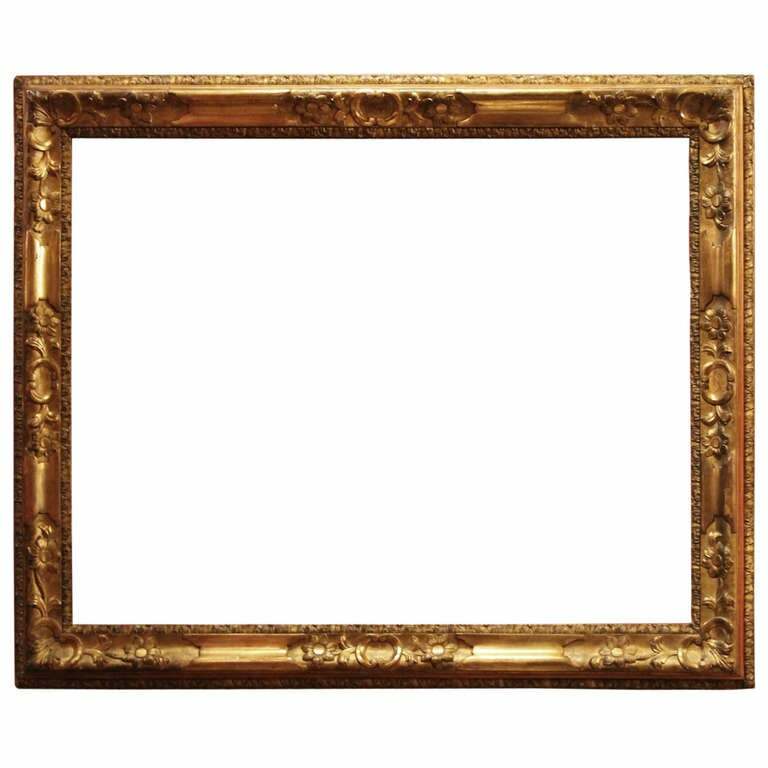 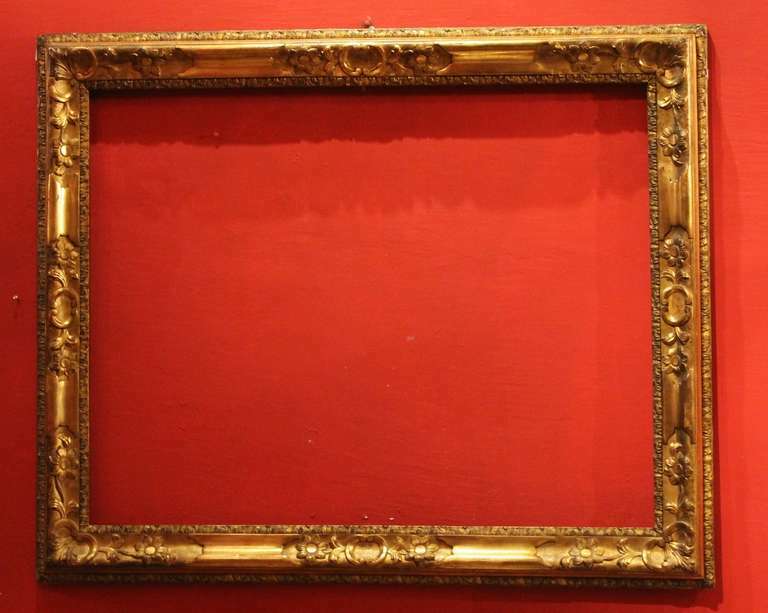 The frame is in very good condition. 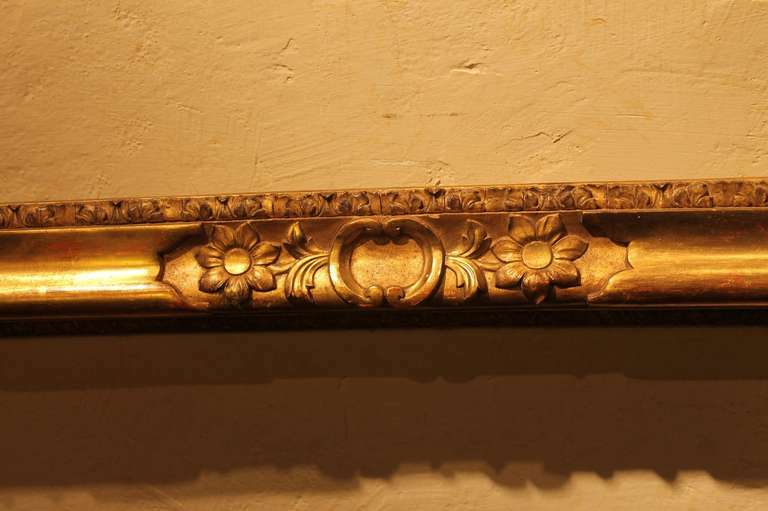 It can also be also turned into a mirror; the floral pattern allows you to hang it both upright and horizontally. 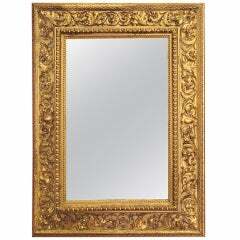 Frame: W 72 cm x H 87 cm Window: W 61,5 cm x H 76 cm. 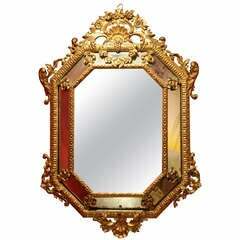 In wood and acid-etched Murano glass representing "Mythological figures". 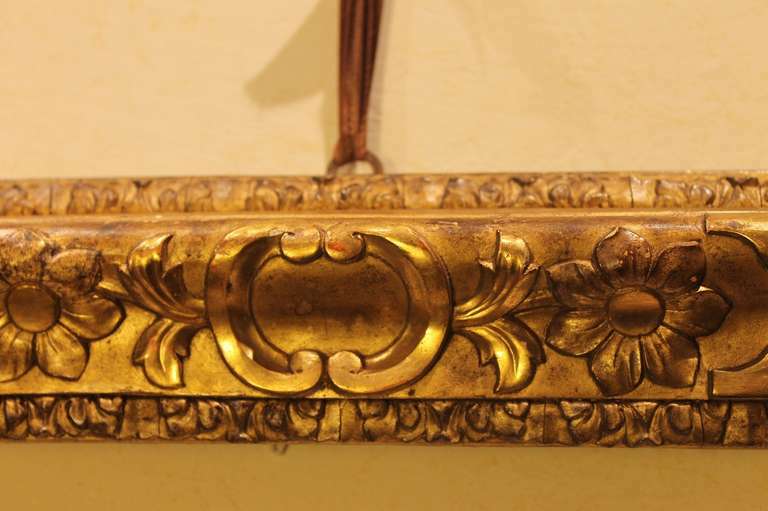 Electrified arms in sheet with two lights.